Out of print – print copies only available from resellers, such as on Amazon . 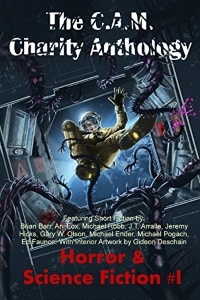 I will be republishing my contribution to this anthology, “Goldilocks Zone,” in a short fiction collection in Fall 2019. “Think you know the real story behind those fables and fairy tales you read as a child? Stories are written from the viewpoint of the heroes, but the lines between hero and villain, good and evil, are often blurred. “We’ve gathered twenty three tales that turn those stories you think you know on their heads by letting the villains have their say. What if Snow White wasn’t as pure as the newly driven snow? What if Red Riding Hood was far more dangerous than the Big Bad Wolf? What if Rapunzel was hell bent on revenge? Forget Disney, forget the Brothers Grimm, say hello to Fairly Wicked Tales—re-imaginings of both fairy tales and fables. 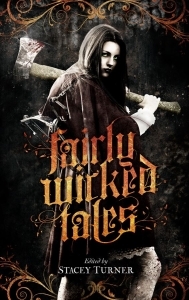 Fairly Wicked Tales, edited by Stacey Turner, is an anthology of dark fantasy and horror originally published August 6th, 2014, by Angelic Knight Press (later reissued on April 21st, 2015 by Ragnarok Publications’ Angelic Knight Press imprint), and includes my horror short story Sweetheart, the Dream is Not Ended (a reimagining of the lesser-known Grimm fairly tale “The Robber Bridegroom”). On this page I’m collecting links to things such as where it’s available to buy (both as e-books and in print), links to interviews and guest blogs, and other related stuff. “Song of Bones” by Vekah McKeown: A retelling of “The Singing Bone”. “Red” by Katie Young: A retelling of “Little Red Riding Hood”. 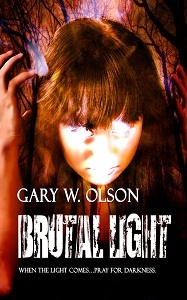 “Sweetheart, the Dream is Not Ended” by Gary W. Olson: A reimagining of “The Robber Bridegroom”. “Crumbs” by Adam Millard: A retelling of “The Crumbs on the Table”. “A Thrice Spun Tale” by Suzi M: A retelling of “The Three Spinners”. “His Heart’s Desire” by Fay Lee: A retelling of “Sleeping Beauty”. “Little Beauty” by Matthew Hughes: A retelling of “Beauty and the Beast”. “Hare’s Tale” by Jay Wilburn: A retelling of “The Tortoise and the Hare”. “The Golden Goose” by Robert Holt: A retelling. “A Prick of the Quill” by Lizz-Ayn Shaarawi: A retelling of “Hans My Hedgehog”. “Sacrificed” by Laura Snapp: A reimagining of “Snow White”. “The Glass Coffin” by D R Cartwright: A retelling of “The Glass Coffin”. “The Price of the Sea” by David R. Matteri: A retelling of “The Little Mermaid”. “A Blue Light Turned Black” by Wilson Geiger: A retelling of “The Blue Light”. “Let Down Your Hair” by Eugenia Rose: A retelling of “Rapunzel”. “The Wolf Who Cried Boy” by Armand Rosamilia: A retelling of “The Boy Who Cried Wolf”. “It Comes At Night” by JP Behrens: A reimagining of “The Billy Goats Gruff”. “Bloodily Ever After” by Reece A.A. Barnard: A retelling of several fairy tales. “Al-Adrian and the Magic Lamp” by Tais Teng: A retelling of “The Arabian Nights”. “Rum’s Daughter” by T. Eric Bakutis: A retelling of “Rumplestiltskin”. “The Ash Maid’s Revenge” by Konstantine Paradias: A retelling of “Cinderella”. “Gingerbread” by Hal Bodner: What happened after “Hansel and Gretel”.